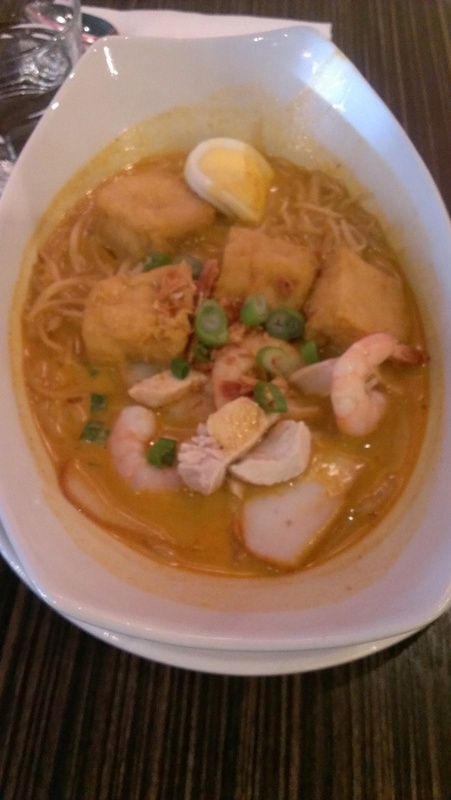 For our weekly Friday lunch, we decided to visit Kaya Malay Bistro. It was either Kaya or Banana Leaf and they both happen to be on Broadway. Since I haven’t been to Kaya before I voted that we go! The prices for their lunch special are similar to Banana Leaf. The interior was very spacious and modern looking. 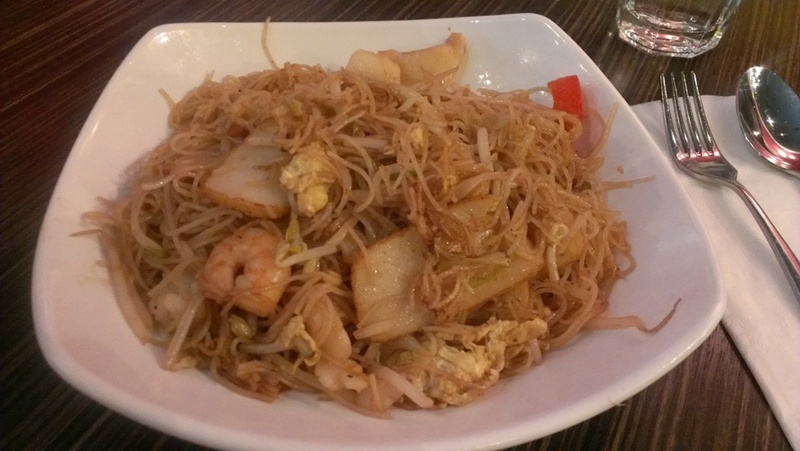 I ordered the Char Bee Hoon which was fried rice noodles with with shrimp, fish cake, squid, bean sprout and egg. This was a non spicy dish and it tasted pretty average to me. Also the squid was quite over cooked so it was really chewy. This was the Kari Lamb which was boneless lamb stewed in curry and served with rice and a small side of salad. It was made to be extra spicy and it was also very tender so I liked this better than my noodles! The food was alright but nothing memorable. Might have to try their dinner for a better review! 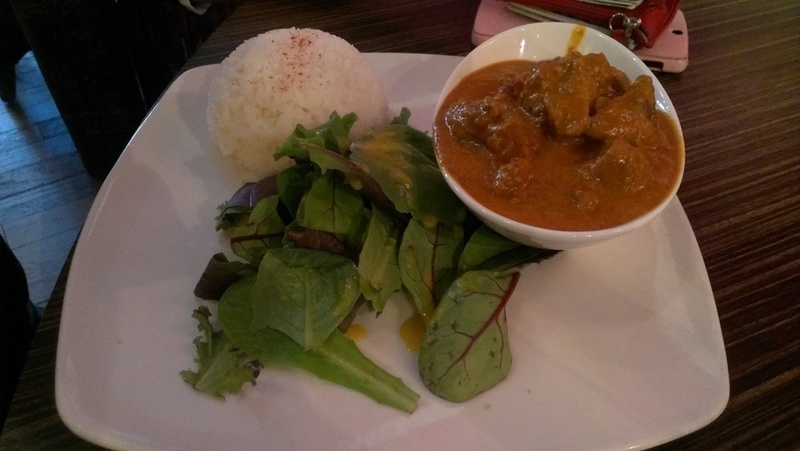 This entry was posted in Food Reviews, Malaysian and tagged lamb curry, lunch specials, Malaysian. ← Sal Y Limon: Best Burritos?